"Is the spring coming?" he said. "What is it like?" "It is the sun shining on the rain and the rain falling on the sunshine..."
I've been watching my mom's peach and white daffodils like a hawk, and they bloomed just a few days after the first yellow daffodils of the season. Yesterday's spring rain couldn't keep me away from photographing them for her birthday. So pretty and this gives me hope that the warm weather is actually coming soon! The water drops really make the photo! Pretty! 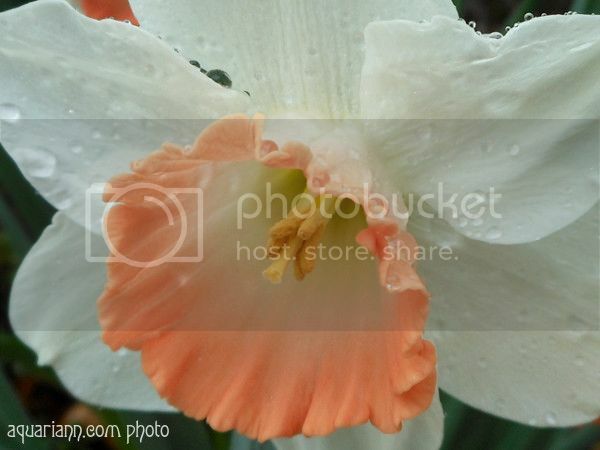 What pretty colors for a daffodil love how the rain makes the photo! What lovely pictures you have today!! Beautiful pictures of the flower! I love spring time! Love the close ups and the water drops! Gorgeous!! I always enjoy seeing water drops on flowers! I'm not sure I've ever seen a white daffodil. It's gorgeous. Raindrops on petals always catch my eye. I see the same is true for you. Beautiful image. Extremely pretty bloom.. love seeing the raindrops on the petals. 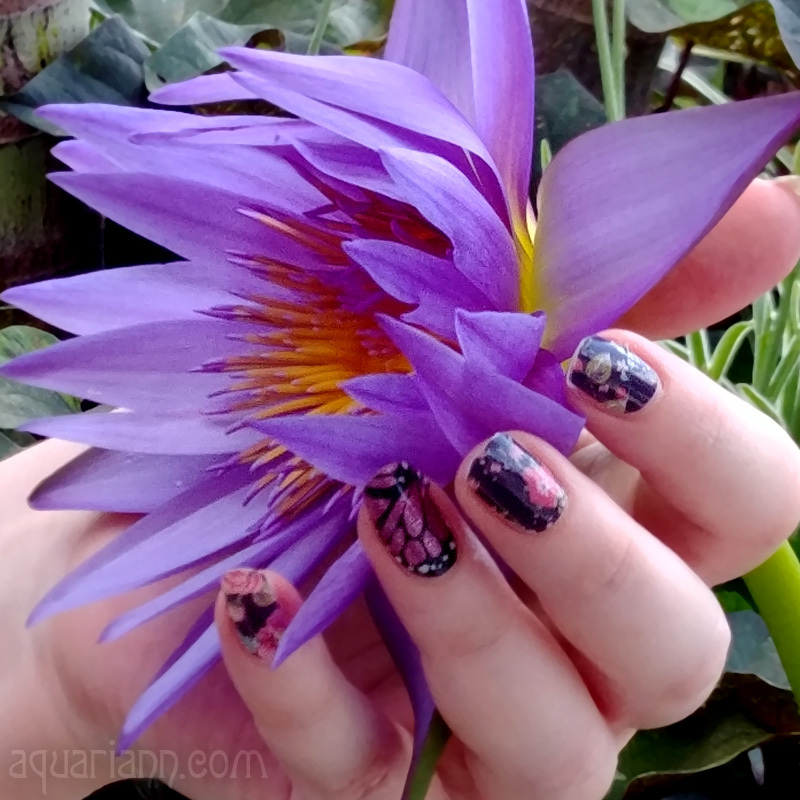 I featured blooms too this week. I've not seen these colors in daffodils. Absolutely gorgeous! This shot. I dream that one day I can take a macro shot thats as pretty as this. Very Pretty Daffodils. All these annoying April Showers are supposed to bring May Flowers, in the meanwhile I looked like a drowned rat in the rain on my birthday! I wish Spring was finally here! Your white daffodil makes me think its a fairy's dress ballooning out, as she drifts to the ground so that she can tend to the garden flowers. Very beautiful! They are so beautiful! 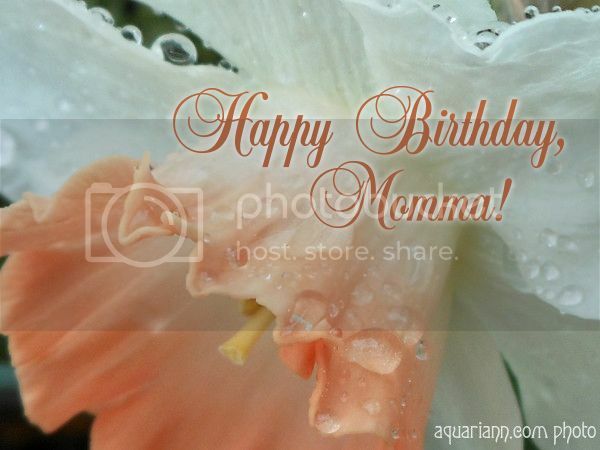 Happy Birthday to your mom! I am especially grateful for the spring flowers this year after a terrifically cold and long winter. Happy Birthday to your mom! =0) I LOVE the flower shots this week! Those are so pretty! I really could look at flowers all day long. I really need to plant more flowers. Such a gorgeous flower! Great picture! I'd love to have that flower growing in my garden. My dear daughter brought me 3 Larkspur plants home yesterday.